Road conditions checked, helmets on. The fast changing urban scenery keeps them pedalling.They know they stand out in this urban metropolis. Still, they pay little attention to how others view them. They love what they are doing and they get a lot from it, so they cycle. To an increasing number of people in Hong Kong, cycling is more than a recreation. It is both an activity that builds character, and a means of getting around – cycling has become a part of their way of life. “So how do you feel right now?” Paul Hadley asks his son when he comes back to the resting area after his race. Sam smiles but does not respond.“Do you think you have done a good job?” asks Hadley. He then goes on to ask Sam what he thinks he could have done to improve his performance “Maybe concentrated more on the road, not just thinking about passing others,” says Sam. Johnny Choi Ho Wang’s mother proudly pats him on the back after he finishes first in his heat. The 10-yearold is happy his family has come to support him. Sam, Johnny and the other kids, all aged between seven and 12 are members of local cycling clubs and school teams who have been chosen to represent their teams in the monthly races. 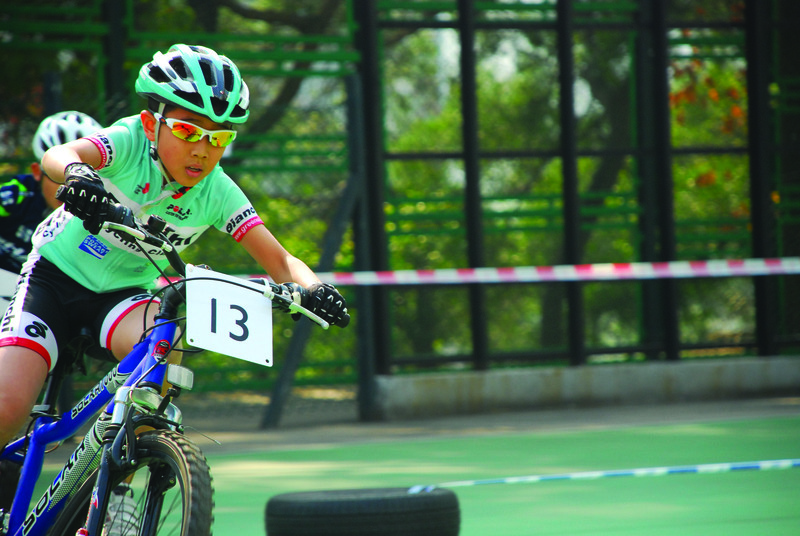 On top of public competitions, these junior cyclists have regular training three times a week, with the longest lasting four hours, as well as general fitness training. Indeed, cycling means so much to these children that crashes are only to be feared because they can affect performance afterwards. Leo Yip Hinsing, 12, recently missed training for a month because of injuries. It was hard for him to keep up when he came back.